Using magazines, find as many types of matter that you can or draw the three states of matter you see every day. 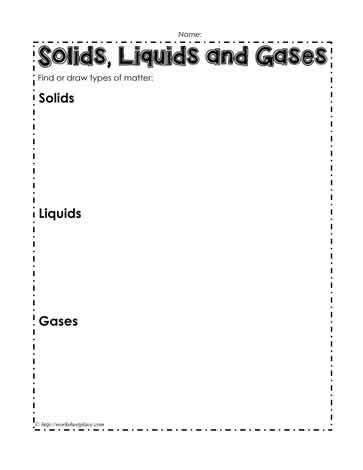 This solid, liquid or gas worksheet is suitable for grades 2 or 3. States of matter worksheets for young students.